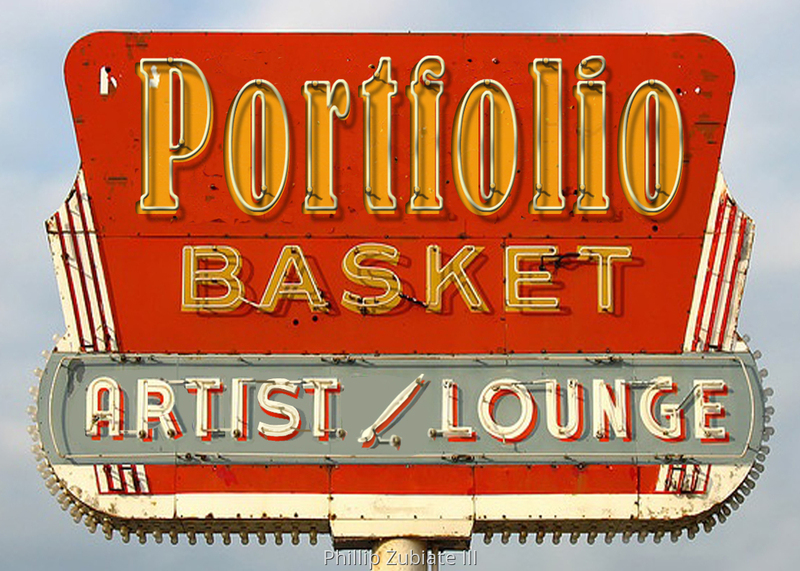 Portfolio Basket is a host of designs, displays, color designs, illustrations, packaging, photos, photo-retouch, layouts, use of space and color. Areas that I am very adapt at - mixed media, printmaking, digital art, cartooning, video, installation, catalogs, and murals. Mediums I can use - acrylic, gouache, oil, pastels, scratch art, watercolor and color pencils. Subjects - abstract, realism, animals, botanical, cityscapes, conceptual, expressionist, fantasy, figurative, floral, graffiti, landscape, political, pop art, portrait, marine, sports, still life, street art, western and wildlife.